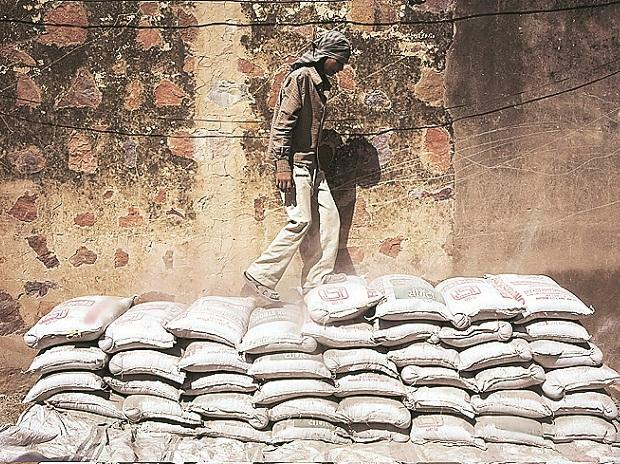 Cement Manufacturers' Association (CMA) Thursday said it has signed a four-year wage settlement agreement with federations of major central trade unions entailing a rise of Rs 5,000 in gross monthly pay of 20,000 workers in the sector. The agreement was signed with Indian National Trade Union Congress (INTUC), All India Trade Union Congress (AITUC), Bharatiya Mazdoor Sangh (BMS), Hind Mazdoor Sabha (HMS), Centre of Indian Trade Unions (CITU) and Labour Progressive Federation (LPF) before the chief labour commissioner (central) here, CMA said in a statement. The settlement is for four years from April 1, 2018, to March 31, 2022, and it will benefit around 20,000 employees in the Indian cement industry by way of an increase in gross pay, enhanced dearness allowance and service weightage, it said. "The settlement provides for an increase of Rs 5,000 per month in the gross pay of cement employees," it said adding that arrears for 11 months will be paid in two instalments. A total of 21 cement companies, consisting major players which cover 60 per cent of the country's total cement capacity, had authorised CMA to negotiate with the trade unions on their behalf. CMA former president and India Cements Vice-Chairman and Managing Director N Srinivasan had led the CMA team in the negotiation. The national-level, industry-wide settlement has been in practice since 1992, representing a unique collective bargaining in the truest sense with management and unions siting across the table and signing before the Central chief labour commissioner, Srinivasan said. "This has assured industrial peace in the industry in the last 26 years," he added. "As an industry, we are collectively committed to creating sustainable opportunities for better livelihood for our employees and being partners to the government for creating sustainable business operations so relevant for the growth of the nation," said CMA President Mahendra Singhi, who is also the MD and CEO of Dalmia Cement (Bharat). Congratulating CMA and the trade unions on reaching an amicable settlement in such a short time, Chief Labour Commissioner (Central) Rajan Verma said: "The cement industry is an important industry for the inclusive growth of the country and there has been a change in approach with the value of industry being well appreciated on both sides.